Mikhail Ilyin was born in St. Petersburg Russia and graduated with Bachelor of Arts degree from the Vaganova Ballet Academy in 1998. In 1999, he joined the Boston Ballet for two years, then Miami City Ballet where he became in principal in 2003. His repertoire with Miami City Ballet included leading roles in Swan Lake, Paquita, Coppélia, Giselle, The Sleeping Beauty, Ballet Imperial, Apollo, Theme and Variations, Allegro Brillante, Ballo della Regina, Prodigal Son, Symphony in C, Afternoon of a Faun, Dances at a Gathering, Interplay, Company B, In the Upper Room, and many others. Ilyin won the Gold Medal at the International Ballet Competition “Vaganova Prix” and a diploma at the Paris International Dance Competition (1998), Silver Medal at the New York International Ballet Competition (2000) and Bronze Medal at the International Ballet Competition in Jackson (2002). In 2005, he was chosen by Dance Magazine as one of the “to watch” dancers of today. 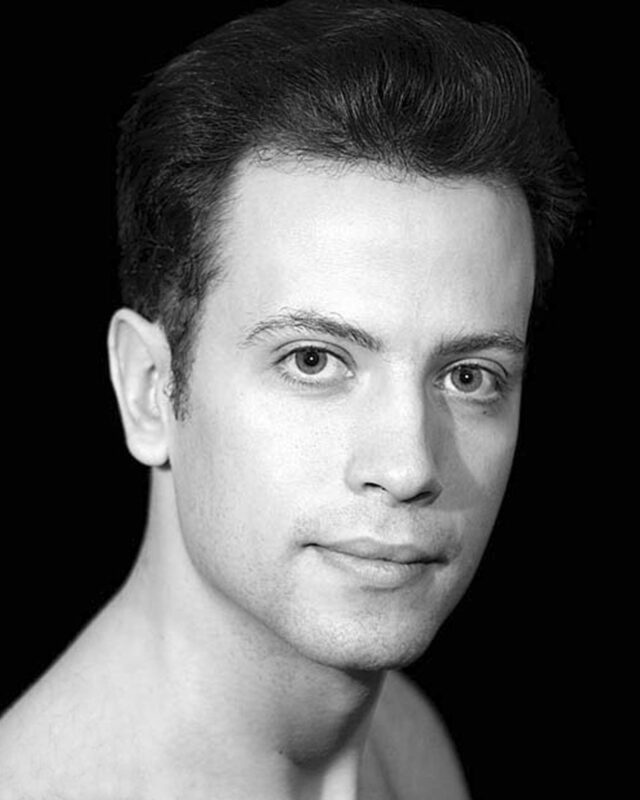 Ilyin joined American Ballet Theatre as a member of the corps de ballet in January 2008. His repertoire with the Company includes Airs, the Bronze Idol in La Bayadère, Company B, Birbanto in Le Corsaire, a leading role in Études, the peasant pas de deux in Giselle, Rabbit in Rabbit and Rogue and the Lead Pontevedrian Dancer and the Maitre d’ in The Merry Widow. He created the Russian Dance in Alexei Ratmansky’s The Nutcracker. Ilyin is teaching and choreographing across the United States. He has been an Artist-in-Residence with Ballet Mississippi since 2005. In addition, he is a practitioner of The Feldenkrais Method of Somatic Education “Awareness Through Movement” (a 4 year Professional Training Program). Ilyin is fully certified with all the levels of ABT® National Training Curriculum Pedagogy Program.